Mangaluru: July 27, 2015: Karnataka is hedging its bets strongly on three urban centric schemes of the Modi-led NDA government. While the process to shortlist six cities for as many smart cities allotted to the state is nearing completion, the state has identified 25 towns and cities for upgrading urban instructure under Atal Mission for Rejuvenation and Urban Transformation (AMRUT). AMRUT targets upgrading urban infrastructure across 500 towns and cities in India. Minister for urban development Vinay Kumar Sorake said Mangaluru and Udupi are among the two cities in Karnataka included under AMRUT scheme. Cities/towns with population of more than 1 lakh are included under this scheme, he said, adding that detailed project report is being prepared for the same. While the centre will provide Rs 100 crore, state government will pitch in with similar amount to ensure up gradation of urban infrastructure, he noted. 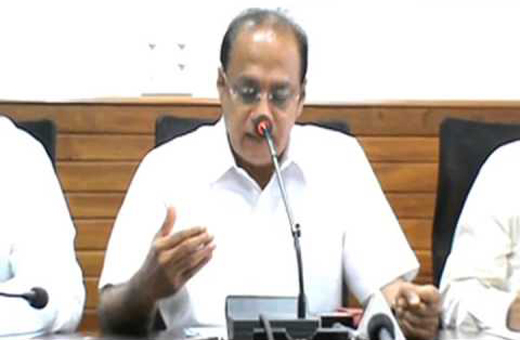 Based on the smart city challenge that Modi unveiled while launching the smart city concept, Sorake said the 11 city corporations in the state including Mangaluru City Corporation are being evaluated for inclusion in the scheme. While six cities from the state will finally make the cut, Sorake said preparedness of urban local bodies to come true on 24x7 water supply, e-governance, solid waste management, UGD and other criteria will decide which these cities are. Asserting that Karnataka will propose the smart cities as per the guidelines, Sorake said the select cities will get Rs 1000 crore over next five years with state and central governments sharing the funding equally. "The UD department has already given city corporations a specific deadline to file their eligibility report for inclusion under smart cities," he said, adding city challenge reports of corporations will be examined as per criteria before the final list is sent to the centre. Admitting that progress in urban housing schemes is not on expected lines, he said the third scheme of the centre on urban housing aims to address this. Beneficiaries, mostly from lower middle class can now look forward to get a flat type dwelling unit for Rs 6 lakh. With centre providing Rs 2 lakh, state will provide Rs 1.20 lakh under Basava Awas Yojana. There is provision for beneficiary to avail Rs 2 lakh loan. They can then pitch in with own contribution of Rs 80,000.